For those who think that creating furniture means only rehashing old patterns with little room for structural creativity, here are two chairs that may prove otherwise. 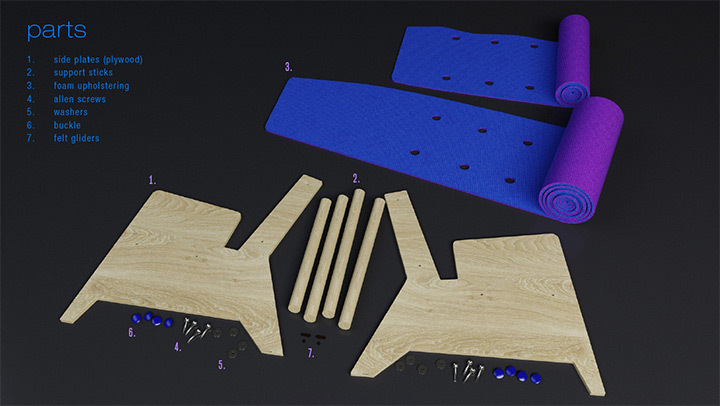 Both recreate the concept of building a chair by reinventing the “upholstery” in an unexpected way. 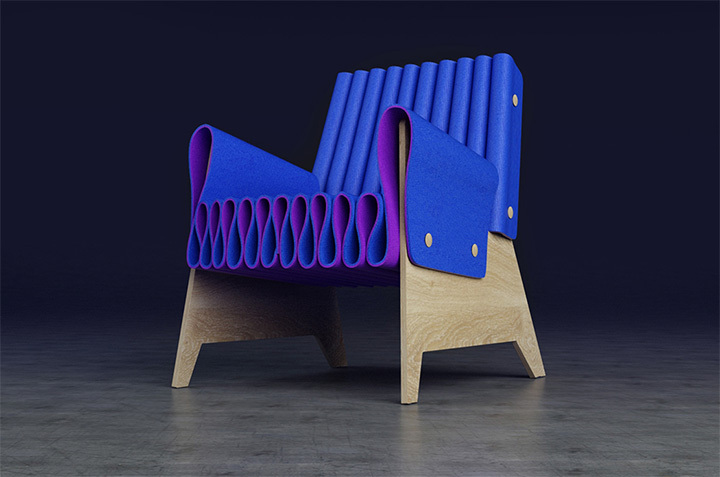 Designer Frederik Dedik is interested in using folded foam to create pieces of furniture that may or may not need other structural materials such as wood or glass. 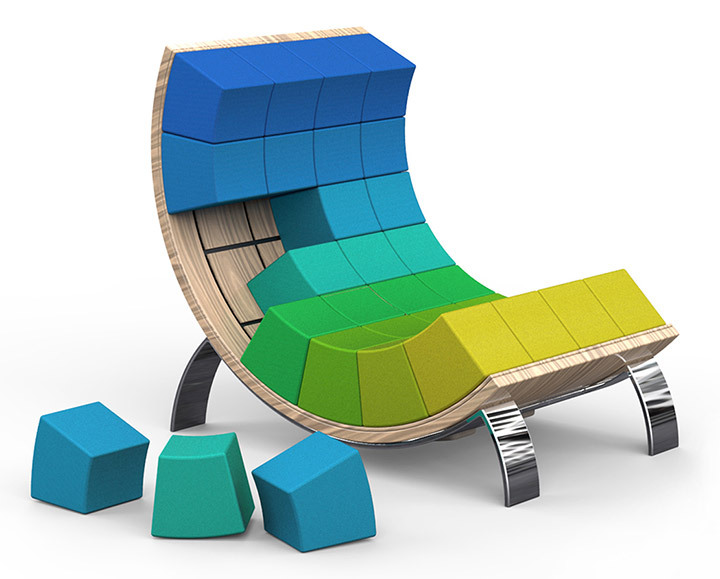 His Varhany lounge chair made of foam and plywood is easy to transport and assemble. The two plywood sides are connected by wooden rods on which the roll of foam is folded. 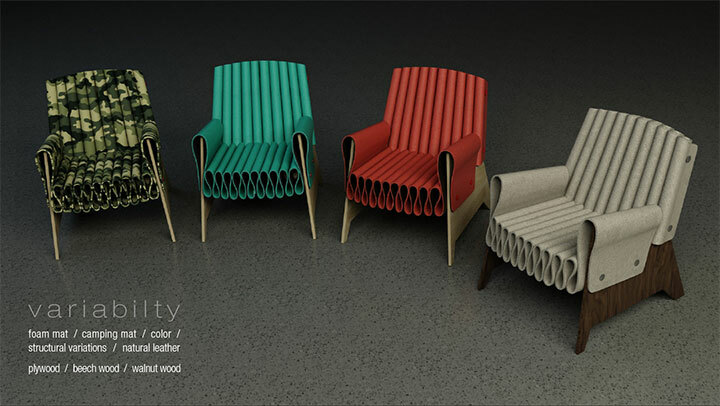 It is a simple yet ingenious construction whose result is a wavy seat that changes the geometry of the classic chair. While, from a design point of view, chairs are often collections of angles and straight lines, the Varhany lounge chair makes extensive use of the aesthetic appeal of curves. If reupholstering a traditional chair is often an involved process, changing the color of the Varhany lounge chair requires a simple replacement of the foam. Patterns and different degrees of softness are possible variations. The plywood can also be replaced with more sophisticated types of wood, for a more polished look. 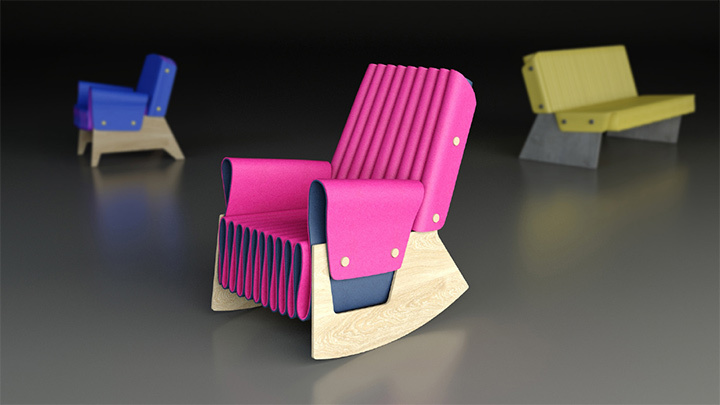 This is not Frederik Dedik’s only piece of foam furniture. He also created PAO, a prototype furniture collection inspired by the shape of a peacock tail and that includes a lounger, stool and table. It is easy to imagine the value of such light furniture for spaces where mobility is essential. Rethinking the idea of an upholstered chair takes another interesting turn in Vasil Velchev’s Ego chair. This time, the cushion elements are removable and make for a piece of furniture whose color arrangement can be changed as you please. The long curve of the chair frame, designed to keep the cushion perfectly in place, is also an element of definite visual appeal. 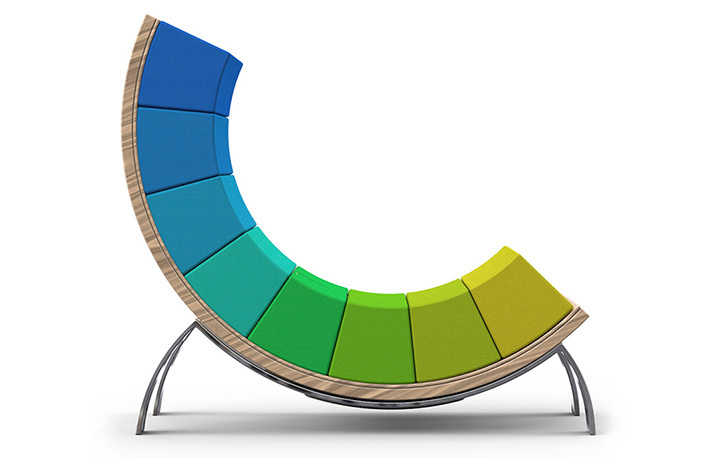 Beyond this, however, the Ego chair is an example of the way furniture starts being designed to adapt not only to our slowly changing tastes, but also to our daily moods.